At Nowack & Olson, many of our clients have secured debts—home mortgages and car loans primarily. Our clients are anxious to understand whether a bankruptcy can relieve them of this debt along with unsecured debts like credit card bills and personal loans. Below are answers to some of the most common questions that we field here in our South Florida offices. Can a bankruptcy wipe out a secured debt? Not really. Technically, every secured debt has two parts—the debt itself, which you are personally liable for, and then a security interest in the property that acts as collateral. In a bankruptcy, you can eliminate the personal debt. However, you cannot wipe out the creditor’s security interest in the property, which means you can still lose the property. For example, you might have a home mortgage for $120,000. Bankruptcy could get rid of the debt, but your lender will still foreclose on the property if you do not pay them. For this reason, bankruptcy lawyers say that secured debts cannot be discharged because that is basically true. I heard a Chapter 13 can help reduce my car loan? This is true. Some collateral rapidly depreciates in value, which is definitely true of cars. As a result, the value of your car can be considerably less than the amount of the loan. For example, your car might be worth $6,000, but you still owe $10,000 on the loan. In a Chapter 13 bankruptcy, you can reduce the amount you owe in a procedure called a “cramdown.” The bankruptcy judge will reduce the amount of your loan to the value of the car. In the above example, the balance on the loan will now be $6,000, not $11,000. The remaining $5,000 gets lumped in with your other unsecured debts, so you will probably pay a fraction of the amount. There are some restrictions for using a cramdown. For example, the car cannot be too new. Interestingly, you can seek a cramdown on other property, not just your car, but you cannot use it for a principal residence. 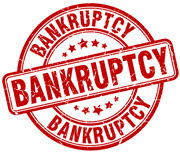 Check with your bankruptcy lawyer for more information. Some property has more than one lien on it. The lien placed first is a “senior” lien and any subsequent liens are “junior.” Under the bankruptcy code, you might be able to strip off certain junior liens in a Chapter 13 bankruptcy. To check, you must compare the value of the collateral to the amount of the senior lien. If the lien is more than the value of the property, then the junior liens are unsecured (because no value is left over to act as collateral). These junior liens can be stripped off and treated like all other unsecured debts in a Chapter 13 bankruptcy. Bankruptcy eliminates only some debts, and you should fully understand what will happen to your debts before filing a bankruptcy petition. At Nowack & Olson, our bankruptcy attorneys in South Florida advise clients about the best options for them. To schedule a free consultation, please call 866-907-2970.